Do you know some information about transceiver? In this document, we just show you the knowledge of the Optical Module, SFP Module and the BIDI SFP Module. The optical module is composed by the optoelectronic devices, the functional circuit and the optical interface, the optoelectronic device includes a transmitter and receiver in two parts. Emitting portion is: enter a certain bit rate signal by the internal driver chip processing to drive a semiconductor laser (LD) or a light emitting diode (LED) to emit a corresponding rate of the modulated optical signal, the automatic control circuit with an internal optical power, so that the optical signal output power is kept stable. Receiving portion is an input module. With a certain bit rate, the optical signal is sent into an electrical signal by light detecting diode conversion. After preamplifier output electrical signal of the corresponding bit rate. Said optical module is a photoelectric conversion, the transmission side converts the electrical signal into an optical signal, and then optical signal is converted into an electrical signal through the optical fiber transmission, the receiving end. The light modules include optical receiver module, optical transmitter module, optical transceiver module, optical transponder module. Fiberland produce sand stocks for a full range of optical transceivers. All our fiber transceivers are 100% compatible with major brands like Cisco, HP, Juniper, Nortel, Force10, D-link, 3Com, and backed by a lifetime warranty. Please buy with confidence; we can customize optical transceivers to fit your specific requirements. Contact us if you can’t find the item which you need. The small form-factor pluggable (SFP) is a compact optical transceiver module used in optical communications for both telecommunication and data communications applications. As the upgrade version of GBIC module, SFP transceiver is also called Mini GBIC. SFP Modules are designed to support SONET/SDH, Gigabit Ethernet, Fibre Channel, Optical Supervisory Channel OSC SFP and other communications standards. Fiberland supply various kinds of SFP module, including CWDM SFP, DWDM SFP, BIDI SFP and 10G SFP+, are 100% compatible with Cisco, HP, Juniper, Netgear, DELL and so on. 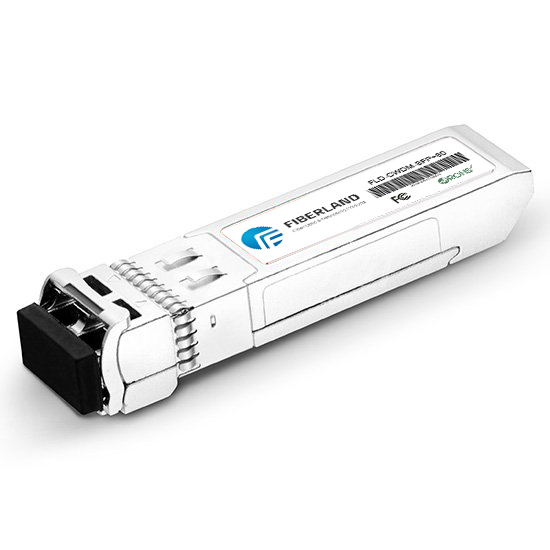 BIDI (Bidirectional) SFP module achieve an optical fiber bidirectional transmission of optical signals. Usually optical module has two ports, TX transmit port RX to receive port; only one port of the optical module, to be filtered through the filter in the optical module, while completing the 1310nm optical signal transmitting and 1550nm optical signal received or vice versa. Therefore, the module must be used in pair.